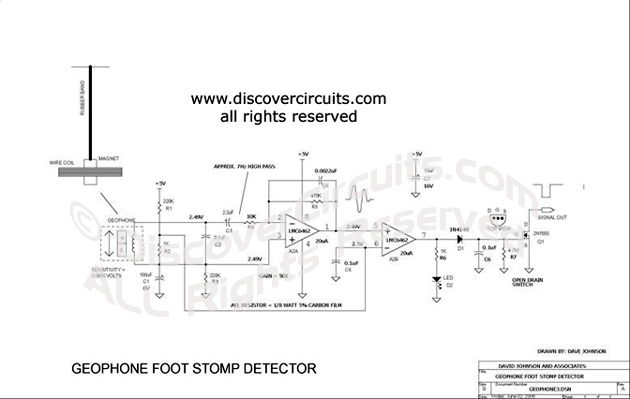 Circuit: Home Made Geophone Detects Foot Stomp __ Circuit designed by David A. Johnson, P.E. A home made geophone is made from a strong magnet, a coil of wire and a rubber band. The circuit is sensitive enough to detect the vibrations of a nearby foot stomp. It could be used as an earthquake detector.